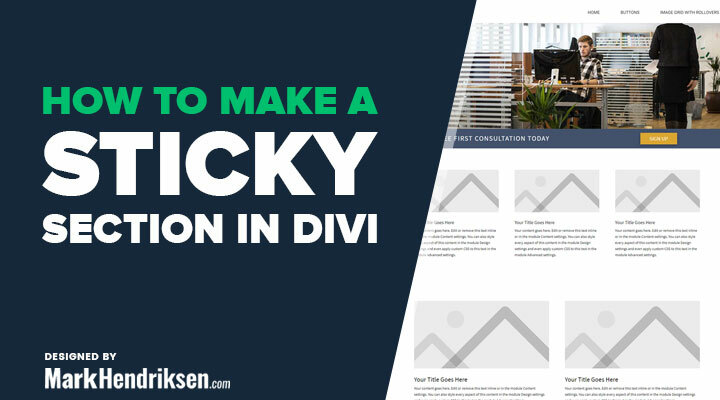 In this tutorial we will be covering how you can create a sticky section. This section will stick at the top when scrolling down. 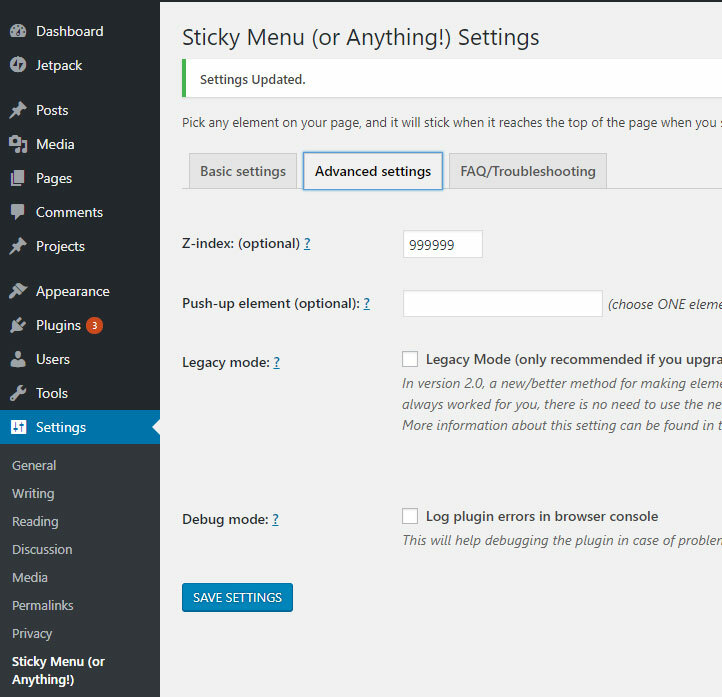 For this we will be using a free plugin called Sticky Menu (or Anything!) on Scroll. 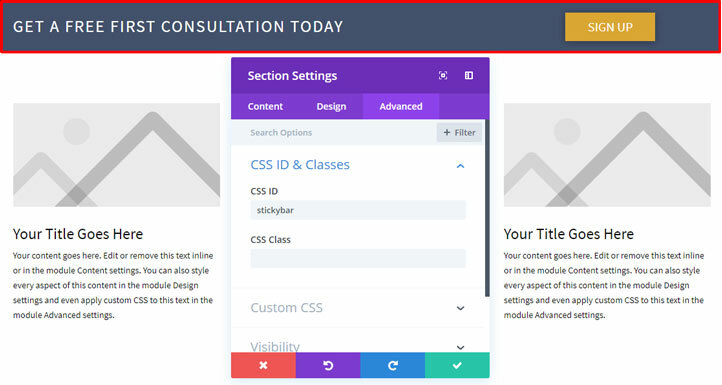 You will be learning how to create a section and how to setup the plugin. Search for Sticky Menu (or Anything!) on Scroll and install/activate the plugin. 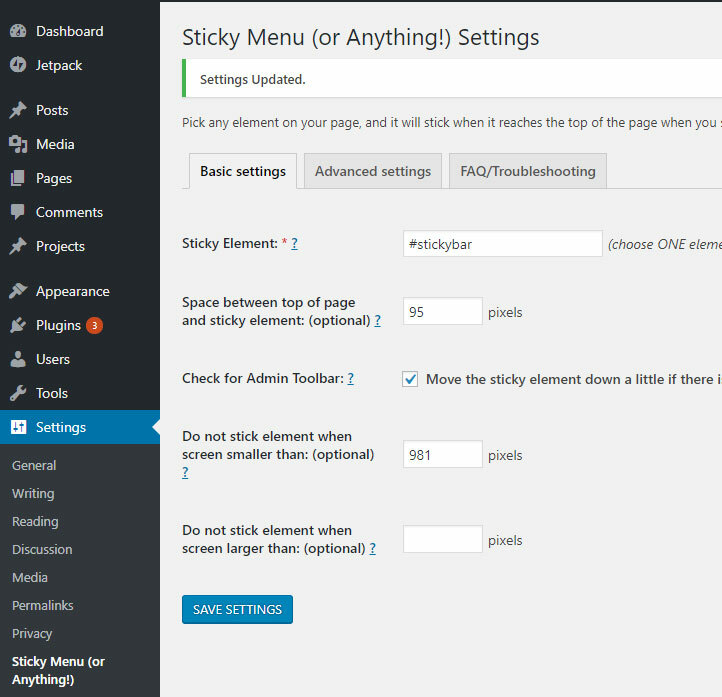 In the Space between top of page and sticky element: (optional) field I fill in 95. I use a fixed navigation and I want the stickybar underneath it. So I have to add the height here of my navigation. In my case this is 95px but if you use different navigation size it can be another number. 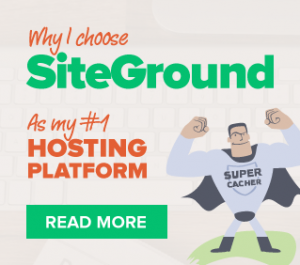 You can trial and error the size until you are happy or use a tool like Google inspector. In case you navigation is not sticky then you can leave this field blank. In the Do not stick element when screen smaller than: (optional) field I fill in 981 which means that this section will only stick for desktops. Clear your caches and you are done! This is AWESOME, Mark! I can’t wait to try it! Yes, unfortunately this plugin only works for one element on a page. i hope there is a way to do without a plugin. i dont like to use plugins. You can do it probably with CSS. Unfortunately, I don’t have a tutorial for that. Great little tutorial, very helpful and easy to follow. This is exactly what I needed and works perfectly.